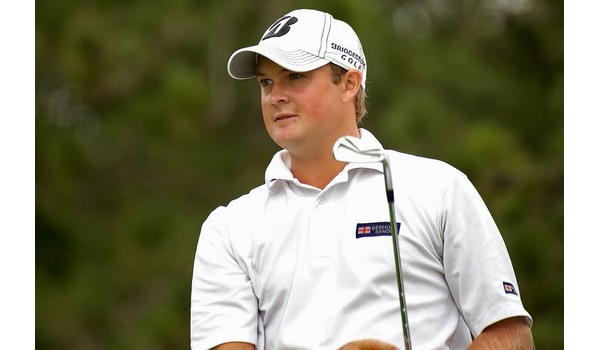 My name is Thomas Campbell, a professional golfer originally from New Zealand and now based in Minneapolis. I came to America to pursue my dream of a professional golf career on the PGA Tour. From 2006 to 2010, I played at the University of Minnesota-Twin Cities, realizing my best chance to make it on the tour was to play college golf in the United States. Now 28, I’ve since turned pro, competing on various mini-tours across the country. During the summer months, I mostly appear on the (National Golf Association) NGA Tour, formerly the Hooters Tour, and The Dakotas Tour. I have fully exempt status for both tours this year. My 2013 season was my best yet, winning one of the biggest events on The Dakotas Tour, finishing third on its money list and finishing in the top-10, 10 times last year. During my 2014 season, I will be blogging regularly about my chase to make the PGA Tour. In this first blog, I will discuss the importance of getting fit for the correct shaft and clubhead to ensure you get the most out of your clubs. One of my main challenges during Web.com Qualifying School last fall was the ability to carry the ball far enough. The site I competed at had a lot of doglegs requiring carries over bunkers about 260 yards from the back tee. Typically, I drive the ball about 280 yards, but only carry the ball about 260 yards. With cooler fall temperatures, the challenge for me to carry the doglegs proved to much. I had to change my game plan and play away from the corners. That left me with much longer second shots to the greens. I love the driver I have, especially during the summer months when the ball rolls a long way, but to ensure I get the most out of my driver I decided to look into other shaft and driver head options. So I sought to get fit for the best driver that will provide premier results. I highly recommend you do so as well. I went into the 2nd Swing Golf store in Minneapolis and used its sophisticated Ping nFlight Fitting System. After warming up, I first hit some drives on the launch monitor with my current driver. My current driver is the Bridgestone J40 430 with Aldila Voodo 65S Shaft. My specs with The J40 were as follows: ball speed 159.7 mph, launch 9.1 degrees, spin rate 2,186 rpm, carry 256 yards and total 276 yards. My goal after seeing these numbers was to find a shaft and head that would increase my launch angle and carry yardage, while maintaining my low spin rate. I tried a few TaylorMade SLDR heads with different shafts. This process was very simple and with the technology to change out shafts with the use of the tools makes the fitting process so much easier. It didn’t take long to find a shaft and head that provided the results for which I was looking. The TaylorMade SLDR 11.5-degree head paired with a Fujikura Motor Speeder VC 6.2 Tour Spec X-Flex Shaft gave me the following results: ball speed 161.6 mph, launch 11.6 degrees, spin rate 2,580 rpm, carry 277 and total 291 yards. This club now will allow me to carry the ball 275-plus yards, which is almost 20 yards farther than my current club, with a total distance about 15 yards farther. I will no longer have to worry about carrying those hazards that were once at that awkward yardage for me. I can’t wait to get down to Florida next week to see the full flight of the ball and start off my 2014 tournament season. I also have more plans to try out different clubs and shafts of other manufacturers. I want to find a new driver that will carry farther with a higher launch angle. Those features I know already would have proved handy.